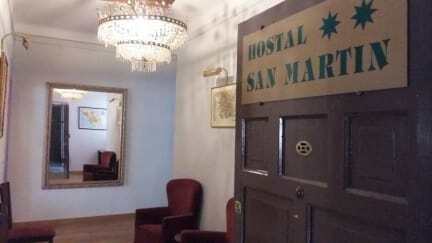 San Martin Hostal, Madryt, Hiszpania : Rezerwuj teraz! 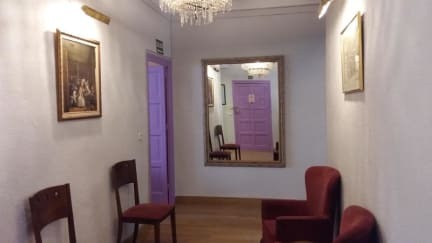 Given its privileged location it is near all the main tourist attractions: Puerta del Sol Gate, La Cibeles Fountain, Plaza de Espana square and the most important museums. Our guesthouse can accommodate 23 people in its 11 rooms, 10 of which are double. The single room has a washbasin. Two of the double rooms have full bathrooms, while the rest have a shower and washbasin. We also have 2 extra folding beds available. Cancellations must be notified by email at least 72hs before arrival date. Non-arrival may result in the cancellation of your entire reservation and charges the first night.